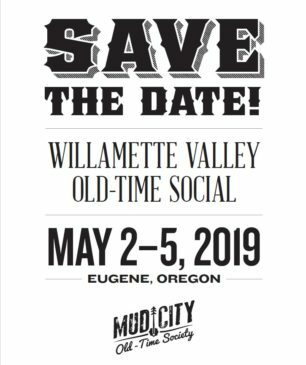 The 20th annual Gathering happened on January 16-20, 2019 and it was a blast!. Our visiting Artist in Residence, Nokosee Fields, is an amazing and multi-talented fiddler and bass player. Born and raised in Stillwater, Oklahoma, Nokossee began studying orchestral violin at a young age. After years of learning and performing Classical and Early music, Nokosee has recently turned his attention to various forms of traditional American music, performing, teaching, and touring professionally. As a bassist, he tours with the Country band Western Centuries. As a teacher, he has taught at the Augusta Heritage Center and has been involved with Dancing with the Spirit—an Alaska-based youth and community music program that aims to re-inspire fiddle and dance traditions in indigenous communities throughout the region. Nokosee visited the BRAVO Youth Orchestra programs in North Portland, performed concerts and led workshops at the Old Time Gathering. To review the full list of 2019 performers click here. 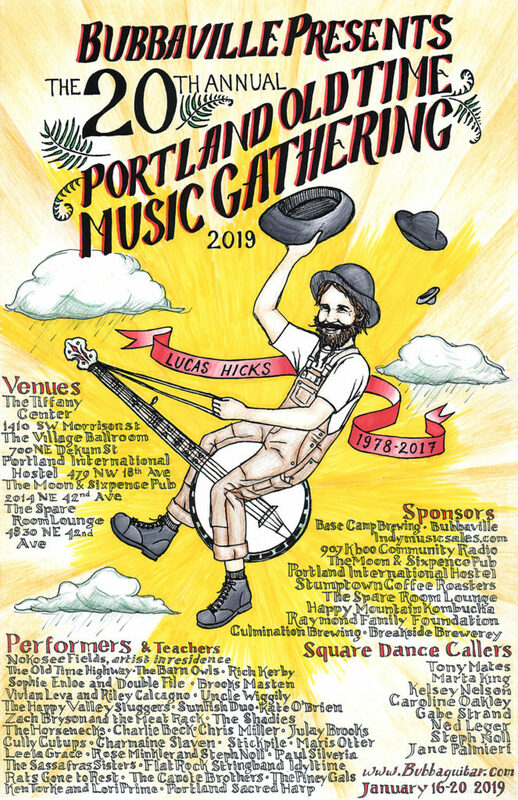 Save the date for the 2020 Portland Old Time Music Gathering January 15-19, 2020. More details coming soon! 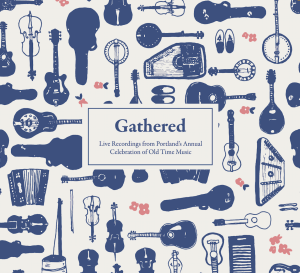 The CD created last year from Gathering recordings met a enthusiastic response at the Gathering, and has been a steady seller across the country this past year. 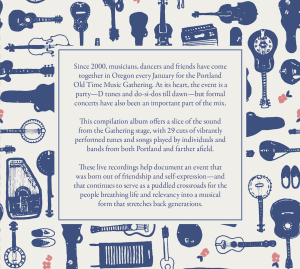 You can order your own copy or get one for a gift (recommended – the beautiful case design and liner notes are well worth the extra couple dollars) or download it directly by clicking the image. Or pick up your copy next month at the Gathering merch table.